Sepp’s sagacious outlook on his home terrain proved to be more than accurate. The powder that Sage Cattabriga-Alosa, Dylan Hood, and Colter Hinchcliffe found there after a seven-hour detour due to “overgadgeting” proved to be not only deep enough to blind them (literally), but enough to win the nod for the year’s Best Powder segment from both the Powder Magazine Video Awards and, this past weekend, the Cold Smoke Awards. Tim Durtschi also nailed Best Male Performance for his Way Of Life segment. I hope everyone is having a great season! The snow seems to keep getting better and better. Last couple weeks at Baker have been quite impressive — definitely a great (what might be) last season up here. 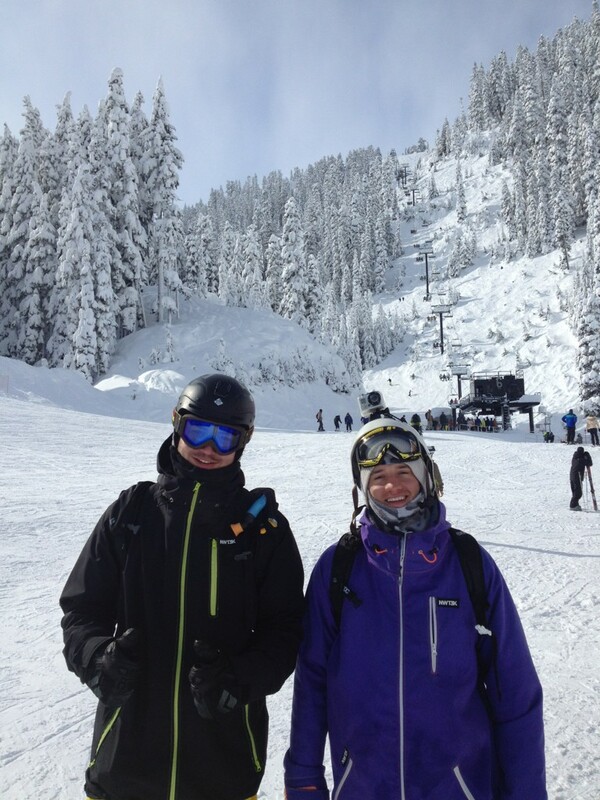 Here is a photo of Nick and myself on a recent bluebird pow day. If you are looking for a fully customizable unique ski jacket, I highly recommend checking out NWT3K. Wowwww! The snow has been insane lately. Mt. Baker holds the highest base in North America and is getting slammed with light, fluffy powder (78+ inches in the past week). Checkout this edit I made — a couple runs skiing with my good friends Nick Marvik, Justin Duclos, and Wiley Chubb. Shout out to NWT3K, supplying the best jackets on the hill. Mt. Baker – (1/16/12) from Aaron Careaga on Vimeo. How To Get a Real Education – WSJ Article discussing current B-School curriculum and suggests some great changes to consider. The Mountain – Terje Sorgierd films some of the most awesome HD video time lapses I have ever seen, definitely worth checking out.